As a leading digital health company with global operations, we bring together experienced and talented leaders from all around the world who share our vision: a new, fundamental way of thinking about health. We provide knowledge to the medical community so that every individual can become — and stay — healthy. With such knowledge, we can altogether confront global health challenges, providing more targeted therapeutics and assist in diagnosis. At AMRA Medical we believe the knowledge, skills, and competencies of our team are our strongest asset. Eric Converse is AMRA’s Chief Executive Officer. 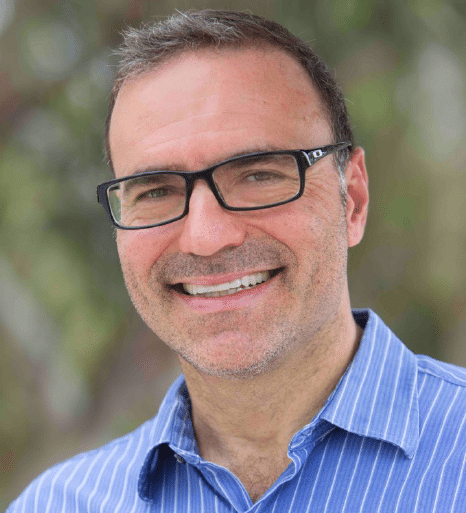 Before joining AMRA, Eric spent three years as President and CEO of VirtualScopics, an Imaging Contract Research Organization (iCRO), which under his direction grew exponentially before being acquired by the leading imaging and cardiac core laboratory, BioTelemetry Research. Most recently, Eric has been working with large pharmaceutical companies on potential and current investments and projects focused on real-world data (RWD) and real-world evidence (RWE). 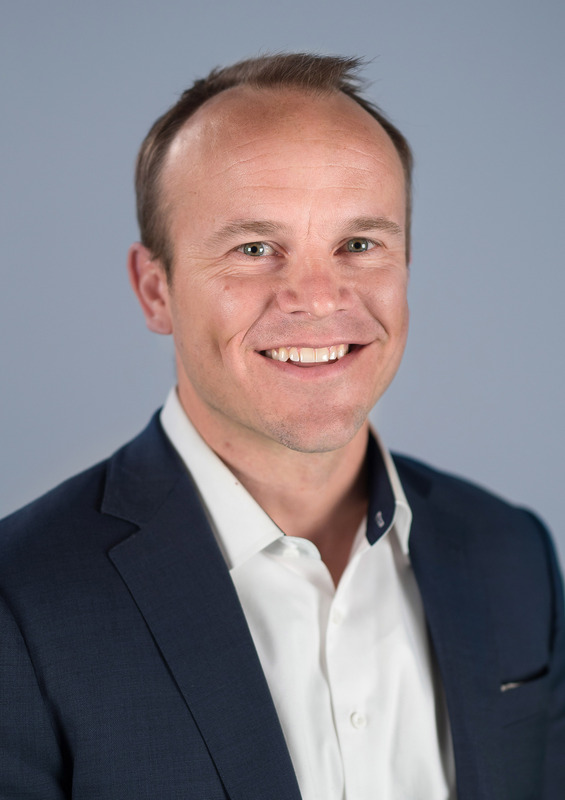 In addition to a specialty in uniting international teams to meet and exceed customer requirements, Eric has over 15 years of further experience holding multiple CEO roles and Board positions across a variety of companies and industries in the US and Europe. As CFO, Ms. Robbins combines financial discipline with creative commercial strategy to expand the applications of AMRA’s novel imaging analytics software. She draws on her extensive experience as both a health care investor and operator. 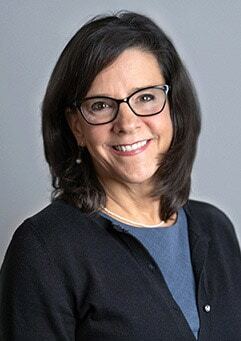 During her time at several healthcare-focused investment funds, including Genzyme Ventures, Tullis Health Investors, and Paramount Capital, she completed eight venture capital investments in transformative medical technologies resulting in six IPOs and two M&A transactions and several products on the market or in late-stage clinical development. 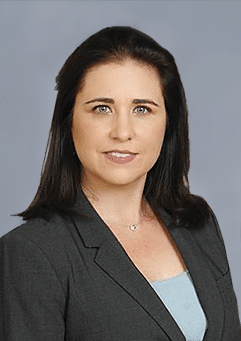 Ms. Robbins has also worked on behalf of numerous operating companies to craft strategy, develop long-range financial forecasts, negotiate transactions, and advance fundraising efforts. In addition, Ms. Robbins has served in foundational operating roles with a U.S.-based direct-pay primary care practice and a health tech SaaS start-up. Her recent work with large pharmaceutical companies centers on the commercial and research applications of real-world data (RWD) and modern analytics in the medical field. 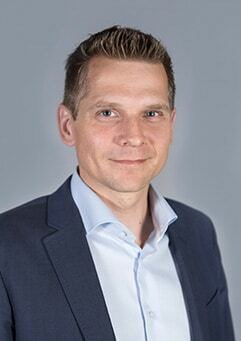 Olof Dahlqvist Leinhard is the Chief Scientific Officer, responsible for AMRA’s technical vision, for leading the execution of technology platforms and partnership strategies, and for overseeing all technology research and product development. Olof is also a Founder and Member of the Board. 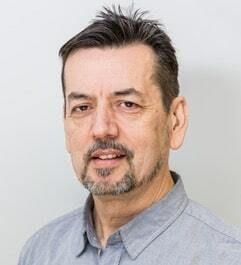 Since 2012, Olof has performed as a Senior University Lecturer in Magnetic Resonance (MR) Physics at Linköping University (LiU), within the Department of Medicine and Health (IMH) / Division of Radiological Sciences (RAD). His position has included the PhD supervision of five PhD candidates, as well as the student supervision of over 20 individuals within MR Physics and Radiology. From 2010 to 2014, Olof also served as the Director of Doctoral Studies at the Center for Medical Image Science and Visualization (CMIV). Renowned within the field of MR Physics, Olof has over 45 peer-reviewed journal and conference articles, as well as over 90 peer-reviewed conference abstracts to his name. Olof earned a PhD in Medical Radiation Physics at LiU in 2010, following a Licentiate Degree in Medicine in 2008, and a Master of Science in Physics in 2004. Magnus Borga operates as AMRA’s Chief Technology Officer, concentrating on national and international strategic research collaborations, publication and grant policy, coordination of collaborative AMRA-CMIV research, and medical image analysis implementation into AMRA. Magnus is also a Founder and Member of the Board. 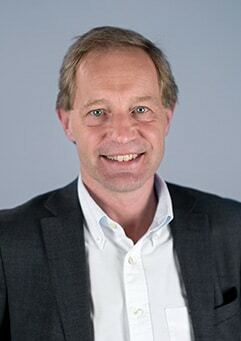 Magnus serves as Professor in Medical Informatics within the Department of Biomedical Engineering, and as Associate Dean at the Faculty of Science and Engineering (Institute of Technology), Linköping University (LiU), Sweden. 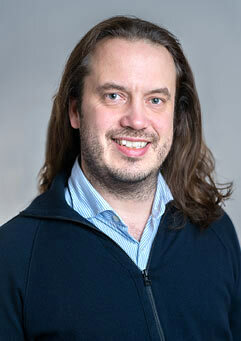 Over the course of two decades, Magnus has developed his career at LiU, earning a M.Sc. in Applied Physics and Electrical Engineering in 1991, a Ph.D. in Image Processing in 1998, and a Docent in Medical Informatics in 2005. He began as a Research Assistant within the Department of Electrical Engineering at LiU in 1998, transitioning into the Department of Biomedical Engineering, where he was later appointed Head of the Department. As the SVP, Rosemary Shull is responsible for dynamic growth for AMRA’s medical imaging offerings. With a great passion for AMRA’s overall strategic goals, Rosemary collaborates with the internal Operational, Scientific, Sales and Marketing teams to drive the company forward. Her external focus is on forging new customer relationships and deepening current account penetration while leading the sales and marketing teams. Rosemary has over 15 years of experience as a secondary educator followed by 15 years in medical imaging research for clinical trials. The majority of the latter experience has been at VirtualScopics/BioTelemetry Research leading the Business Development team. Most recently Rosemary was VP of Sales for VisualDx, a Rochester-based software company focused on diagnostic accuracy support. She graduated from SUNY Geneseo with a BA in history and went on to receive her MA in history from SUNY Brockport. Fredrik Wanhainen is AMRA’s SVP of Delivery and Support, with the strategic responsibility and control of all processes related to product development and customer deliveries, including project management, technical direction and guidance, assurance of optimal application and engineering resources, and implementation of support processes. Prior to joining AMRA, Fredrik worked as the Chief Operating Officer at Responsive AB. His position included business development, as well as management consulting, with a focus on agile development technologies. 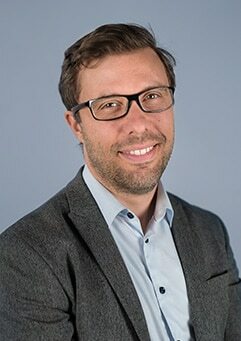 Fredrik also worked previously as the Group Manager for multiple development departments at IFS AB, within the fields of asset management, service management and engineering. Fredrik earned his Bachelor in Computer Science at The Institute of Technology at Linköping University. Janne West operates as AMRA’s Chief Quality Officer, with responsibility for the development and implementation of a Quality Management System, as well as national and international regulatory compliance and approvals. 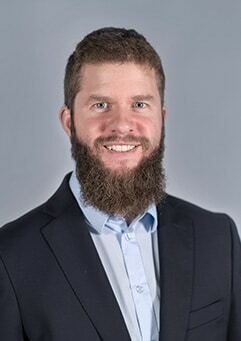 Janne is a part-time lecturer at Linköping University and is working as a postdoctoral researcher at the Department of Medicine and Health Sciences (IMH), focusing largely upon whole-body fat and water imaging. He previously worked as the Development Manager for Synthetic MR AB from 2007-2014, where he was responsible for a development team, as well as regulatory compliance and approvals for medical devices. In 2014, Janne earned his Ph.D. in Medical Sciences at IMH, Linköping University (LiU). Throughout the course of his research, he has presented at approximately 15 international conferences and, with several peer-reviewed articles and a completed thesis, ”Quantitative MRI of the Brain,” he has established his expertise within MR Physics and Quantitative MRI, particularly within tissue segmentation and Multiple Sclerosis. Janne previously received his M.Sc. in Computer Science and Engineering in 2007, with a specialization in Medical Imaging from LiU. 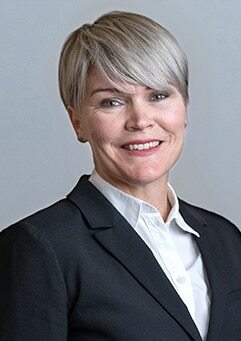 Lotta Karlsson operates as AMRA’s HR Manager and is responsible for building and implementing HR routines and policies, attracting new employees, working environment and working with competence development. Besides working with AMRA, Lotta is part of Paragera AB, a specialty-consulting firm within HR, Recruitment, and Leadership Development. Lotta has many years of experience in HR. Among other things, Lotta has previous experience as an HR Manager at Primary Care Center, Region Östergötland and HR Manager in Facility Management Center, Region Östergötland. Lotta received a master’s degree in Human and Work Sciences at Linköping University in 2005, focusing on psychology in working life. Kevin is the Founder and Managing Director of Smart Health Science Limited, providing support on healthcare innovation, research, and informatics to private, public, and third-sector organisations, and to their funders. An engineer by training, Kevin has broad industry experience over the last 30 years working at the transition of inventions from research to market deployment. 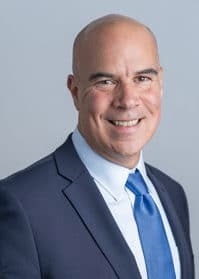 Kevin led Cisco’s Global Open Innovation team in health, care and life sciences for over 14 years, working with organisations at national, regional, and local levels, including the NHS, European Commission, and WHO. Prior to Cisco, Kevin worked on innovations in the Healthcare, Life Sciences, Energy, Airline, and Automotive sectors. He has worked with companies such as GKN, General Motors, British Telecom, BP, Shell, British Airways, Ericsson, Samsung, Bristol Myers Squibb, and Merck as an engineer, manager, and consultant, developing and implementing new technologies and information systems. Kevin is a Fellow of the Royal Society of Medicine and of BCS, The Chartered Institute for IT. Since 2009, Kevin has been an Honorary Research Fellow at City University, London. 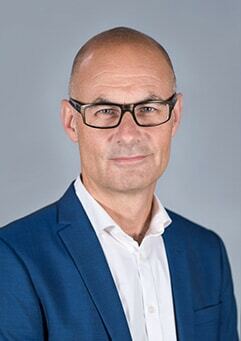 Kevin is also a Member of the Advisory Board of Patient@Home, Denmark’s largest welfare-technological research and innovation initiative, with a focus on new technologies aimed at patient rehabilitation and monitoring activities within the Danish public health sector. Since 2012, Kevin has been Visiting Professor in Telehealth & Assistive Living at the Maersk Institute, University of Southern Denmark. In November 2013, the UK’s Health Services Journal (HSJ) named Kevin as one of the 50 Top Innovators in healthcare. Non-Executive Director and Chair of the Data Advisory Committee for Genomics England Limited, a company (2013–May 2016). Bill is currently an Executive Director of Pfizer Ventures, the venture capital arm of Pfizer Inc. Since joining Pfizer in early 2004, Bill has played an instrumental role in numerous new venture capital investments, including Avid Radiopharmaceuticals (acquired by Eli Lilly), Clovis Oncology (Nasdaq: CLVS), DVS Sciences (acquired by Fluidigm), Evolution Benefits (acquired by Genstar Capital), and HandyLab (acquired by Becton Dickinson). Bill currently serves on the board of directors of Biodesy, G-Con Manufacturing, NeuMoDx Molecular, Novocure, Palleon Pharma and RefleXion Medical. He is also a member of the investment committee of the Investment Fund for Health in Africa (IFHA) and BBI Financial Gestão de Recursos (Rio, Brazil). Søren serves on the Board of Directors of Affinicon, Biosyntia, Reapplix A/S and RSPR Pharma. And since 2008, Søren has been board member of Danish Biotech (the Association of Biotechnology Industries in Denmark). Patrik is an investment manager at Industrifonden and is leading the investment initiatives in Digital Health. Before Patrik Sobocki joined Industrifonden in 2016 he held several senior level positions in the digital health and pharmaceutical industries, within both startups and global brands. In his role, Patrik will support the entire investment area of Life Science with a particular focus on growing Industrifonden’s footprint in the digital health domain. Patrik is extremely passionate about identifying and working closely with promising start-ups to help unleash their global potential by leveraging equally passionate people. Professor Bell is a Professor of Human Metabolism at the University of Westminster and the Director of the Research Centre for Optimal Health (ReCOH), which he created to focus on research in obesity and the factors that determine optimal health and accelerated ageing. 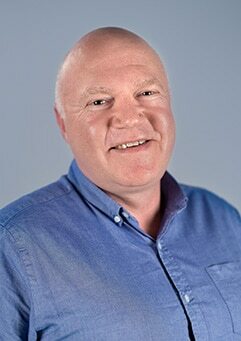 Jimmy completed his PhD at London University in 1987, developing MR techniques to assess biological processes, continuing as a post-doctoral researcher in metabolism and obesity. He subsequently joined the Royal Postgraduate Medical School as a Lecturer, where he worked on the methodologies for the study of disease development, demonstrating the importance of gene-environment interaction in obesity. Professor Bell joined the Imperial College London in the mid-90’s, where he was appointed Professor and Group Head. His research program focused on integrating biochemical, molecular biology, and MR techniques to define the influences of genetics and environmental factors on optimal health and chronic diseases, particularly those associated with adipose tissue metabolism and function. 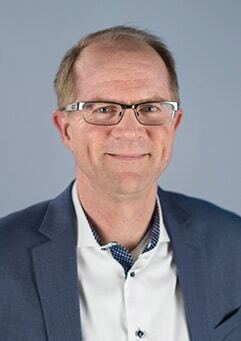 For nearly two decades, Dr. Mark Adkins has been a Consultant within the Department of Radiology and Division of Musculoskeletal Radiology at Mayo Clinic, and an Assistant Professor of Radiology within the Mayo Clinic College of Medicine. 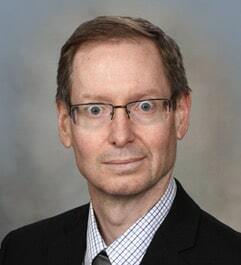 Additionally, he has been Director of the Musculoskeletal Imaging Fellowship Program at the Mayo School of Graduate Medical Education since 1997, and was Chair of the Division of Musculoskeletal Radiology at Mayo Clinic for 7 years. His research activities include multiple facets of body composition analysis, including bone strength, bone density, muscle mass, and fat quantification – including visceral, subcutaneous, liver, and intramuscular adipose tissue. His primary interests include advancing the use of body composition analysis to quantify risks and reduce the morbidity / mortality of fractures, obesity, the metabolic syndrome, and sarcopenia. After receiving his MD from the University of Minnesota in 1991, Mark continued his training at the Mayo Graduate School of Medicine with a Residency in Diagnostic Radiology and a Fellowship in Musculoskeletal Radiology. In addition to numerous awards, national and international speaker positions, publications, and reviews to his name, he has been an invaluable mentor to numerous Fellows and Residents throughout the Mayo system. Sven Enerbäck received his MD in 1984 and PhD in 1992, both from the University of Gothenburg. In 1993, he received his license to practice medicine. For postdoctoral training, Dr Enerbäck joined the laboratory of Leslie P. Kozak at The Jackson Laboratory in Bar Harbor, Maine from 1993-1994. He was appointed as full professor of Medical Genetics at the Medical Faculty of University of Gothenburg in 2000. His research focuses upon metabolism, particularly on white and brown adipose tissue and its role in systemic energy turn-over. He was a Pfizer Visiting Professor at the University of Michigan 2004, and was awarded The Söderberg Foundation Chair in Medicine 2009. In 2010, Dr Enebäck was awarded The Anniversary Medical Prize of The Swedish Medical Society. He is an elected Member of The Royal Society of Arts and Sciences and the Medical Class of The Swedish Royal Academy of Science. 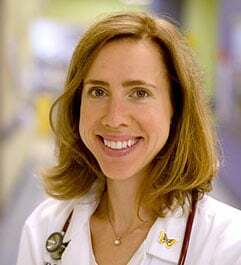 Miriam Vos is Associate Professor of Pediatrics at Emory University School of Medicine, and Director of Transplant Wellness at Children’s Healthcare of Atlanta. She specializes in the treatment of gastrointestinal disease in children, as well as fatty liver disease and obesity. Dr. Vos is also the author of The No-Diet Obesity Solution for Kids. Claude B. Sirlin, MD, is Professor and Vice Chair (Translational Research) of Radiology at the University of California, San Diego. 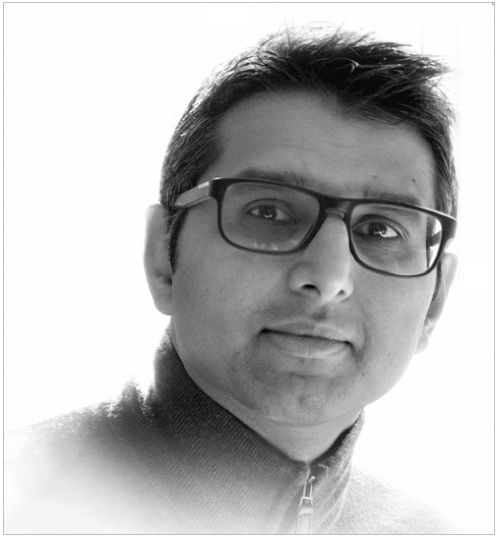 He is an NIH-funded clinician scientist, whose research focuses on magnetic resonance imaging (MRI) and quantitative ultrasound of liver cancer and chronic liver disease. Dr. Sirlin founded and directs UC San Diego Health’s Liver Imaging Group, which actively collaborates with hepatologists, surgeons, pathologists and statisticians to advance screening, diagnosis, treatment and outcomes of individuals with liver disease. He is also the codirector of the Cancer Imaging Program at Moores Cancer Center, chair of the Liver Imaging Reporting and Data System Committee for the American College of Radiology, and co-director of the Radiologist Clinician-Scientist Training Program in his university. He has published more than 200 manuscripts, 30 book chapters, 200 scientific abstracts, and 100 educational exhibits. A dedicated teacher and mentor, Dr Sirlin has supervised over 150 undergraduates, medical students, residents, and fellows in clinical imaging research. clinic, and meaningfully improve human health. diabetes and cardiometabolic group within Translational Medicine. Department of Endocrinology & Metabolism at Washington Univ. School of Medicine. Clinical Asst. Professor of Medicine at the Rutgers School of Medicine, NJ.